What’s the Best Time of Year for a Roof Treatment? If you’re a homeowner, a roof treatment is a routine aspect of maintenance and something to prioritize on your schedule. Since the structure naturally attracts dirt and mold, tasks such as pressure washing work wonders, boosting the appearance and curb appeal. Due to its outdoor nature, the summer months are a natural time to focus on roof treatments. The sunshine is ideal for eyeing up residue, and your contractors can work free from the hazards of rain or snow. This, of course, depends on the type of treatment you’re aiming for. Gutter cleaning, for instance, might not be required during the summer, but it’s a must-do come fall. Eliminating leaves and other debris also improves the appearance, and it keeps away mold and pests. Your roof is an exterior structure, so built up dirt and debris create unattractive steaks, mold grows, and pests start taking their place. While some homeowners think these irritants simply go away come winter, that isn’t the case. Moss lichen, for instance, grows and spreads quickly, utilizing your structure as a living space. Roof treatments, use low-pressure eliminating unwanted debris and pests for good, not just hide them temporarily. This is why summer and early autumn make ideal cleaning times; irritants are easier to spot. Unless you get them professionally removed, your roof will still have a worn-out, streaky appearance and start to grow moss and lichen by spring, so routine treatments freshen up its appearance and maintain your investment. All County Window Cleaning stands by their work, and they know how irritating and unattractive pests and residue can be. With skill and precision, they offer a process that cleans your entire roof and kills off organizing without causing damage. With a 3-year service warranty on all full roof treatments, you can rely on their work. 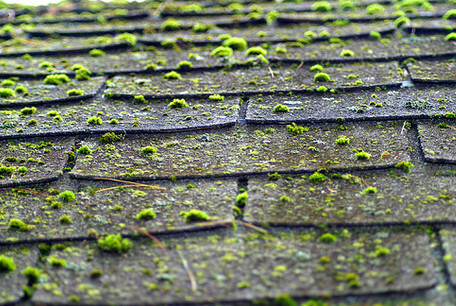 If substances such as moss or lichen have re-claimed their space, they’ll investigate and re-treat your roof for free, maintaining a fresh, spotless appearance. With high-quality roof treatments, your structure will maintain its curb appeal for years to come. When you’re seeking quality work, trust in the professionals at All County Window Cleaning. In addition to roof treatments, roof raking, and gutter cleaning, they’ll make your windows shine indoors and out, leaving your property spotless. Click here or call (973) 827-8311 or in NY (845) 988-5535 to schedule a treatment today.